There are many women who shop and spend too much without thinking if they need what they buy. Some even would use their credit cards to the max without realizing that it's not a good habit anymore. 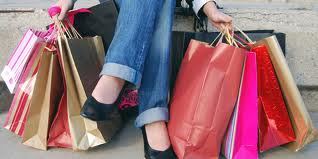 Shopping can be a therapy for some when they are lonely but women need to know their limits.